The Space Marines are the greatest of humanity's warriors, fierce soldiers that have been subjected to intense training, genetic modification, and psycho-conditioning. 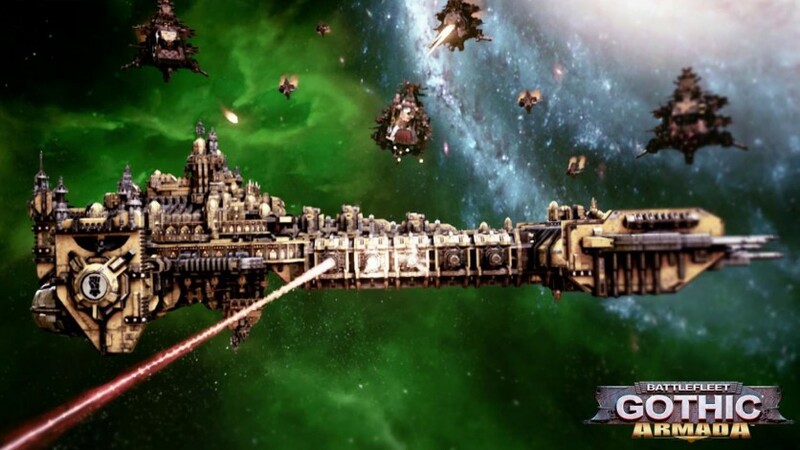 Their fleets are experts at close-ranged battles, sporting well-armoured ships and specialize in aggressive boarding techniques. In addition, they have access to two unique faction traits which makes them immune to insubordination mechanics and gives them the ability to prioritize their attacks on different subsystems when boarding. 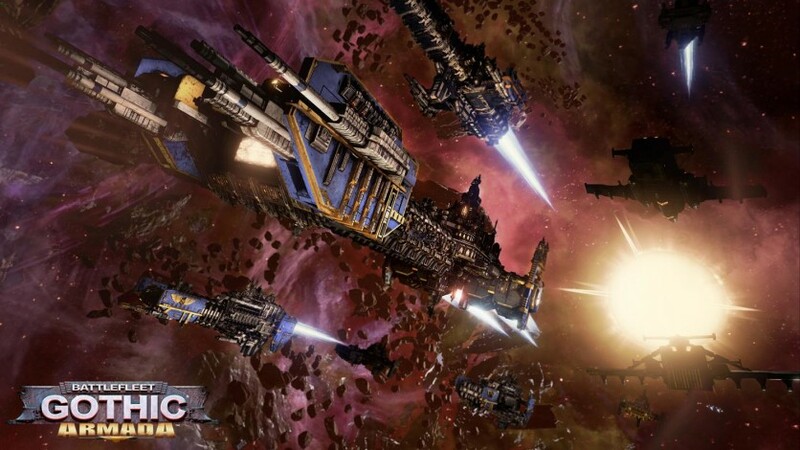 The Space Marines DLC includes 5 different Space Marine chapters. Dark Angels: Due to their dark past, Dark Angels have a Chapter culture revolving around secrecy and repentance. Their Chapter Master, Azrael, spares no expense to protect mankind, keep the truth hidden and, when possible, hunt the Fallen, former Battle Brothers who betrayed the Emperor. Blood Angels: The Blood Angels are a Chapter known for their impressive bloodlust, and an occasionnal deadly rage, but also for their keen aesthetic skills and their exceptionnal longevity, even for Space Marines. Their Chapter Master, Dante, is more than a millennia-old, and leads his Chapter wisely and with exceptional efficiency. Ultramarines: The Ultramarines pride themselves on their strict adherence to the Codex Astartes, and view themselves as an example for all Space Marines Chapters. To the Ultramarines, the Codex is more than a set of rules, it represents discipline and respect for order. They are among the best warriors of the Imperium. Imperial Fists: The Imperial Fists are recognized to be among the most loyal Chapters to the Emperor and have been instrumental in holding the Imperium together during the bleakest of times, with renowned stubborn resilience. They are Siege Warfare specialists, a title exemplified with their role in leading the defence of Earth, which gave them the title of "Defenders of Terra". Space Wolves: The Space Wolves are known as the Emperor's executioners and instrument of punishment since the Great Crusade era. They are notorious throughout the rest of the Imperium for their ferocity and their defiance of authority, including the dictates of the Codex Astartes. They are generally considered as the greatest and most loyal warriors of all the Space Marine Chapters. 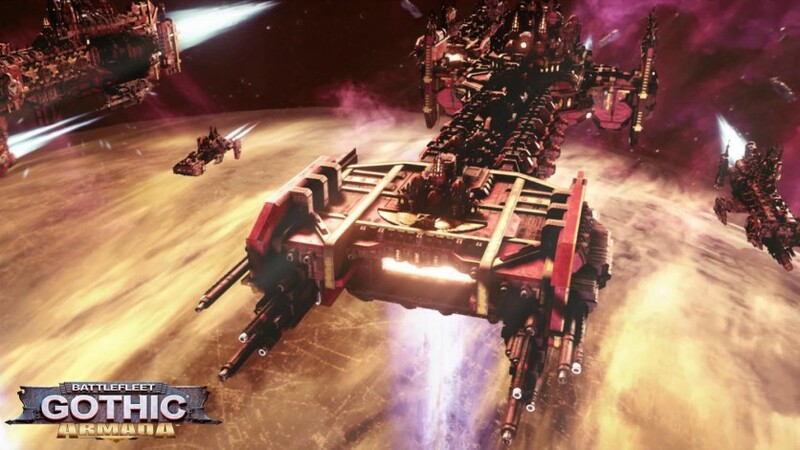 Battlefleet Gothic: Armada - Space Marines. Copyright © Games Workshop Limited 2016. 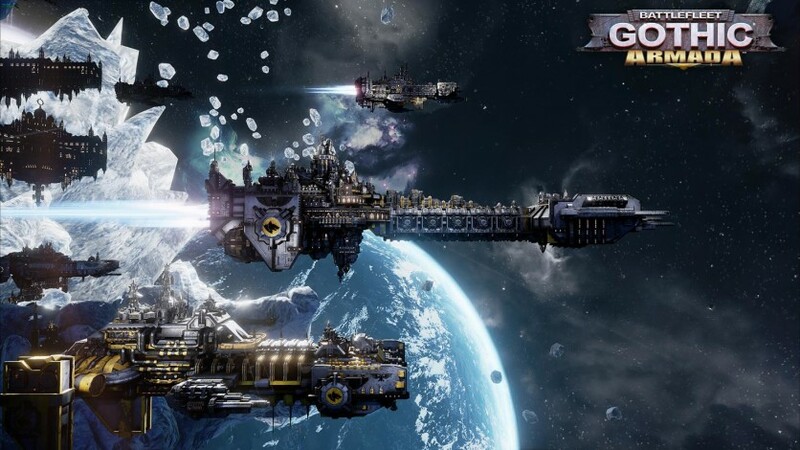 Battlefleet Gothic: Armada, the Battlefleet Gothic: Armada - Space Marines logo, Battlefleet Gothic, the Battlefleet Gothic logo, GW, Games Workshop, Space Marine, Space Marines, 40K, Warhammer, Warhammer 40,000, 40,000, the 'Aquila' Double-headed Eagle logo, and all associated logos, illustrations, images, names, creatures, races, vehicles, locations, weapons, characters, and the distinctive likeness thereof, are either ® or TM, and/or © Games Workshop Limited, variably registered around the world, and used under licence. Allrights reserved to their respective owners.